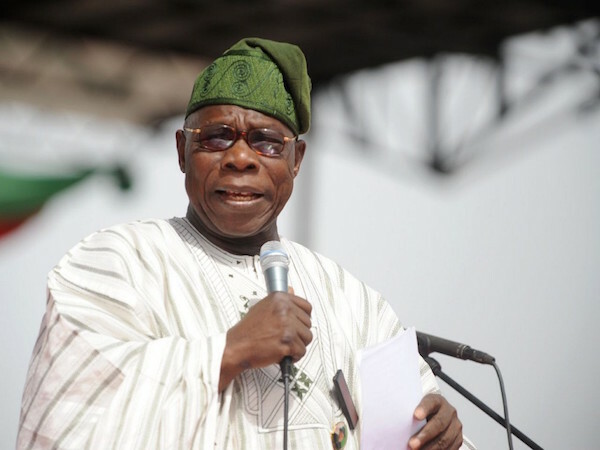 The House of Representatives said on Tuesday that it would no longer respond to corruption allegations made against the National Assembly by former President Olusegun Obasanjo. Obasanjo made his latest attacks in Minna, the Niger State capital, on Monday where he addressed the opening of a two-day investment forum organised by the Niger State Government. The forum with the theme, “Impact of Investing for Advancing Agricultural Economy and Innovation,” had several notable personalities in attendance, including a former Head of State, Gen. Abdulsalami Abubakar (retd.) and the Sultan of Sokoto, Muhammadu Sa’ad-Abubakar III. Obasanjo stated, “The Sultan talked about roads; I hope our lawmakers will use their position and act positively so that when they put in road projects in the budget, they will not turn them into what they now term as constituency projects? Namdas stated, “We won’t respond to any corruption allegations by Obasanjo against us anymore. Since leaving office in 2007, Obasanjo has consistently attacked the National Assembly, calling lawmakers names. In January 2016, he wrote separate letters to the Senate President, Bukola Saraki, and the Speaker of the House, Mr. Yakubu Dogara, accusing lawmakers of being extravagant and corrupt in the face of economic challenges in the country. In November of the same year, he called senators and House of Representatives’ members “unarmed robbers” on the heels of the suspension of a former Chairman, House Committee on Appropriation, Mr. Abdulmumin Jibrin, over his budget padding allegations. The former President had stated, “Once you are a member, you are co-opted and your mouth is stuffed with rottenness and corruption that you cannot opt out, as you go home with not less than N15m in a month for a senator and N10m a month for a member of the House of Representatives. The National Assembly is a den of corruption by a gang of unarmed robbers. “If the judiciary is being cleaned, what of the National Assembly, which stinks much more than the judiciary? Budget padding must not go unpunished. But Namdas on Tuesday insisted that the House would not respond to Obsanjo’s latest attacks since Obasanjo remained the godfather of corruption in Nigeria. The House had added that a reason Obasanjo would never like the members of the National Assembly was the fact that they foiled his third term ambition in 2007 after taking his money and displayed it publicly to put him to shame. The House accused Obasanjo of frequently churning out outright lies and mischievous innuendos against the National Assembly. The House’ November response to Obasanjo read partly, “Undoubtedly, former President Obasanjo is understandably angry with the National Assembly as an institution, having foiled his ambition for a third term in office even after trying to corrupt the members with a bribe of at least N50m each. “He bribed the PDP, ANPP and the AD legislators on their inauguration in 1999 to vote against the majority candidate of the PDP, (the late) Dr. Chuba Okadigbo. That was how Senator Evan Enwerem became the Senate President. “Have we forgotten that Obasanjo used his position as President to extort businessmen and contractors to build his presidential library?